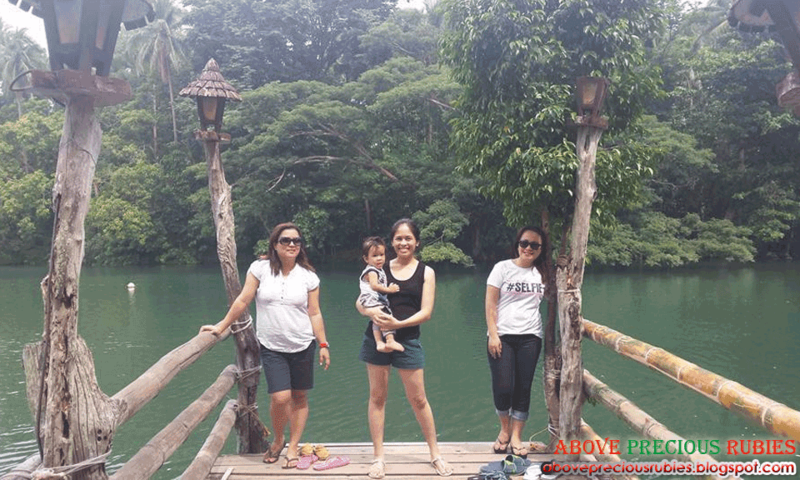 Last month, Dane, Nate and I were able to visit Villa Escudero with our friends CheVy (Ritche & Ivy, hehe). It was a quick day tour but we had a great time, however, we all wished we could’ve stayed longer. 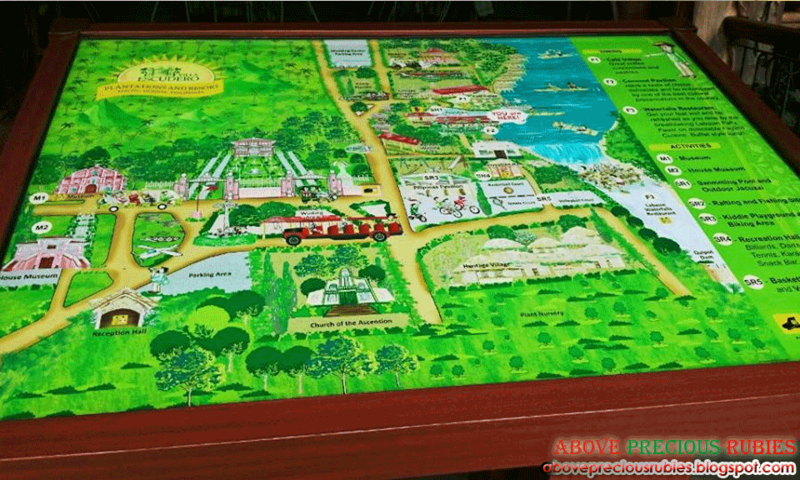 Villa Escudero is one of the many famous attractions in the Philippines, it is located 10 kilometers south of the city of San Pablo, Laguna on the border with Quezon province. It’s about 2.5 hrs away from Metro Manila. 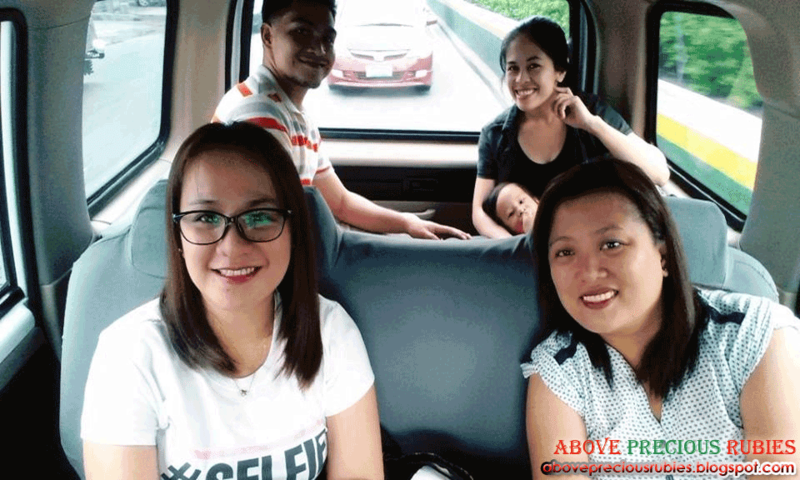 We were supposed to meet CheVy at the airport in the morning since they came straight from Davao City but, we were stuck in the famous EDSA traffic and ended up having them wait for us instead. We arrived in Villa Escudero at around 12nn (which is very late for a day tour since day tour starts at 8am), and went straight to the man-made falls for our lunch. 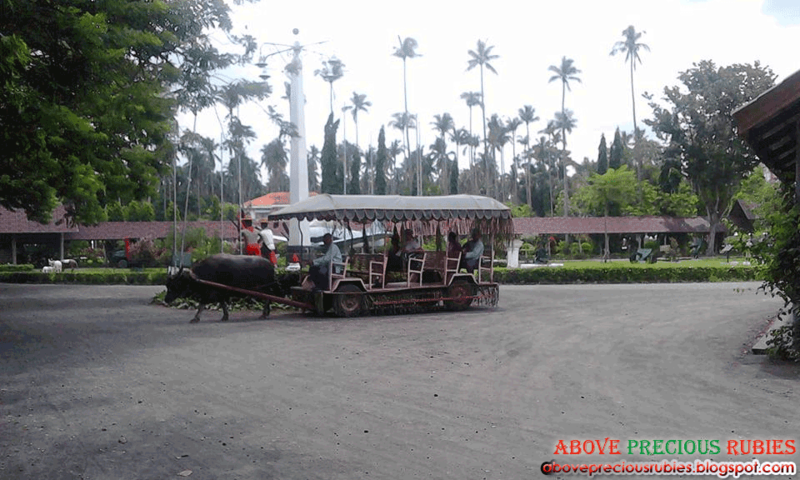 You’d have to ride on a wagon pulled by a carabao (which, by the way, has 3 employees in it, 1 drives, 1 sings and the other one plays the guitar) to get to the waterfalls restaurant. We were all very excited to see the waterfalls, not only because we were starving already from the long ride but the waterfalls restaurant seems to be very famous so we wanted to be able to experience it already, haha. In the buffet table, many Filipino dishes were served for our empty tummies. I can’t name the foods served anymore but they were mostly the foods served in a Filipino karenderya. There were no spoon and fork to use but we were given chopsticks (well, we ate with bare hands instead!). I wasn’t very full, I don’t know if it was just me but I felt that the foods were “nakakaumay”. I am a type of person who eats A LOT in order to be full but at that time, (I can still clearly remember, lol) di talaga ako masyadong nabusog! After lunch and photo opp, we went up to see the beautiful lake. I was wanting to go bamboo rafting but later was told that we’re not allowed to take the babies with us so we had no choice but to stay and just take some pictures of the lake. I think bamboo rafting is really cool (but, well, there’s nothing we can do since we can’t leave Nate behind), maybe next time when we can have the opportunity to go back here :). CheVy didn’t go bamboo rafting either so we just went and stayed at the pool where Dane, Nate and I decided to go swimming. And guess who loved the pool so much? Haha. Of course, it was my Nate again! lol. CheVy just took photos, chatted and rested beside the pool while we were swimming. We stayed there ’til we decided to go home. It was a quick stay but we still enjoyed it. The place is very calm and quite (of course too far from the very noisy and polluted Metro) and it really takes you back to the old Filipino setting. Upon going home, we passed by a different route. 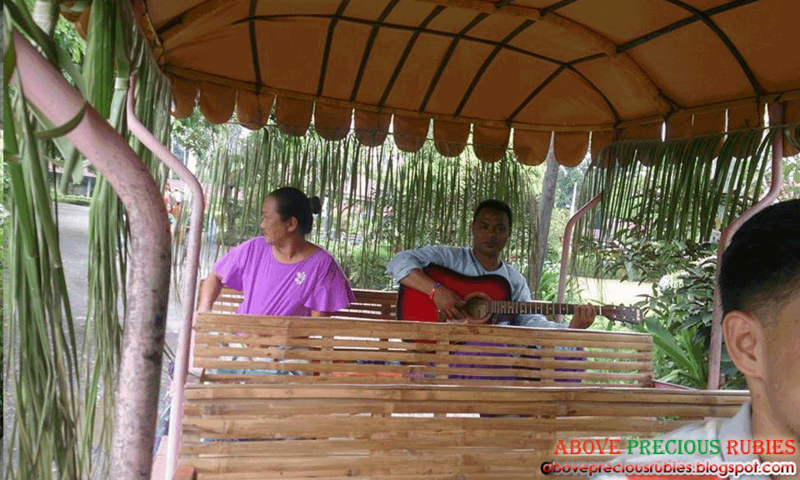 We were again serenaded by the employees, they sang some folk songs like the “paru-parong bukid”, “sa libis ng nayon”, etc. 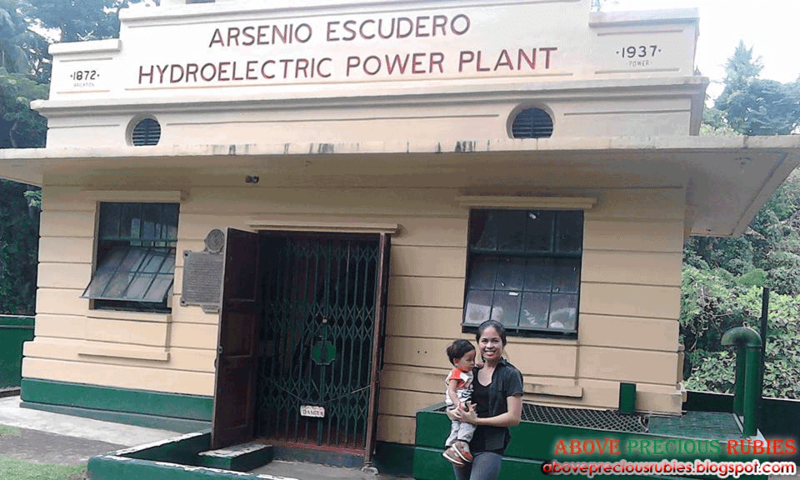 We passed by the houses of the employees and we learned that the family of the employees there were given a land where they can build their houses and in return, one of the members of the family will work in Villa Escudero, I think it’s a very fair condition. In that village, smoking, gambling and drinking alcohols are prohibit. I think it’s good, it’s a very quite place with disciplined neighbors and very safe village. We stopped by a catholic church where some of the guests went inside and prayed then head back to the entrance. Things that we missed during this tour were the museum (because, unfortunately, 7 years old and below, not allowed to get inside and CheVy didn’t go inside the museum either), and the bamboo rafting. I think we only stayed there for about 4 – 4.5 hours which is quite a short time for the day tour but it was still a good experience. 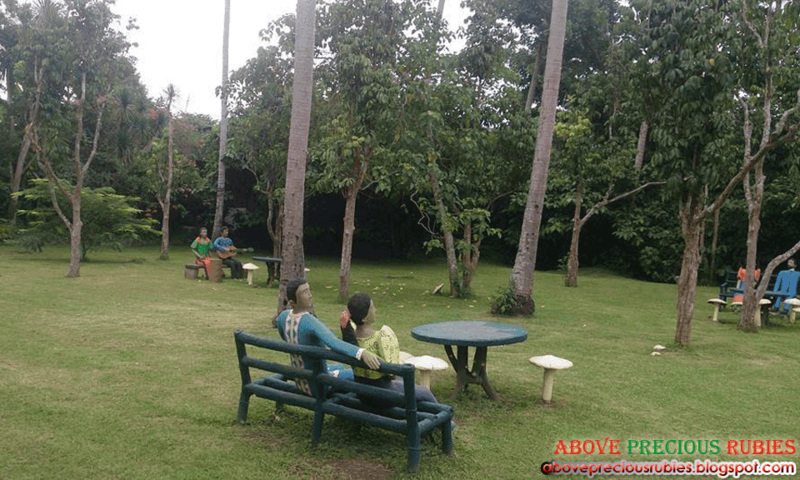 In Villa Escudero, you get a glimpse of the traditional Filipino life and setting. And if you’re fortunate enough to visit the place on a weekend or holiday, you’ll experience the cultural show that starts from 2pm to 3:15pm at the Pavilion Hall. However, when we were there, we saw their practice for the weekend’s performance (at least, lol). 1. The serenity of the place, even though they opened it for public, they’re still able to keep the place calm and peaceful. 2. The employees’ uniforms! Love it, just love it. It’s definitely Filipino! 3. 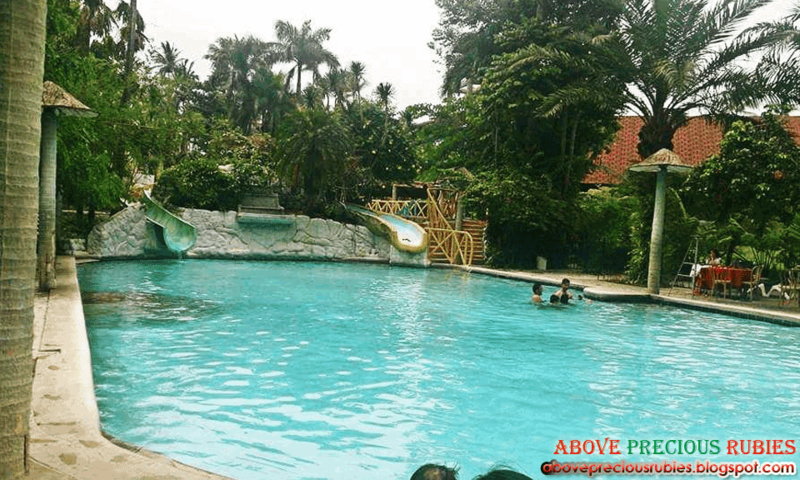 The place – I’m saying this for the nth time, the place keeps your spirit at peace. 4. 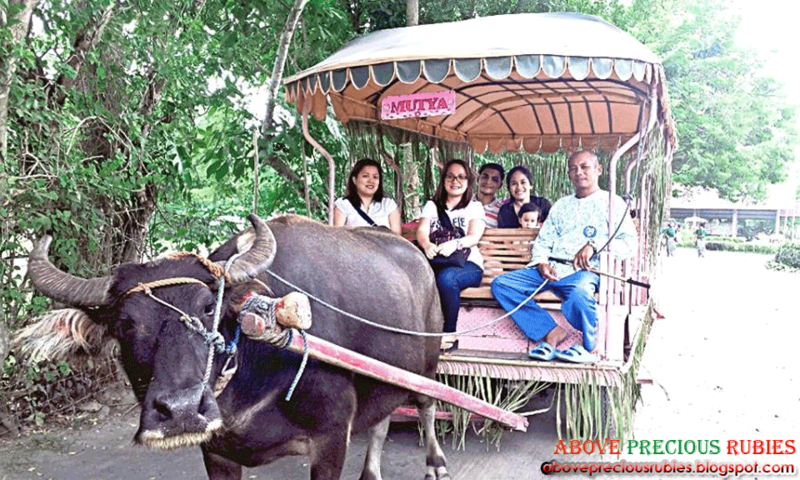 The carabao cart, I can no longer remember the last time we rode a carabao cart (smaller ones we used when harvesting coconut), but I’m certain that back when I was Elementary, so while we were on the cart, my memories took me back to my childhood days. 1. If they have chopsticks, they better have spoon and fork. OK, I know this can be for the Korean tourists because we’ve seen many when we were there but, although we know how to eat using chopsticks, if it’s not what we’re used to, we’ll not like using it so since it’s a Filipino setting, I think they can either just completely remove the chopsticks and have us eat with bare hands or add spoon and fork. 2. I wish they have a “short time” rate for those who couldn’t be there at around 8am for their day tour. 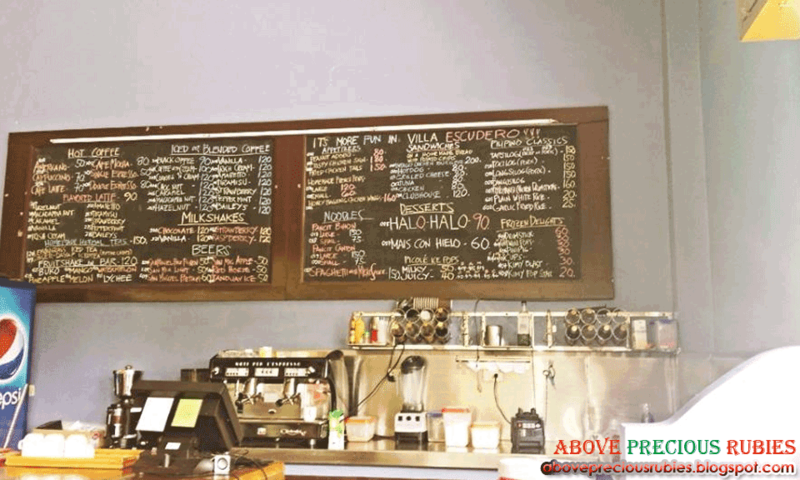 Their pricing is quite high, but I think that’s reasonable for those who can completely roam around the place. How about those who arrived at noon and those who can’t get inside the museum or go bamboo rafting like us, I hope they have a way to somehow cut their rates (I don’t know, just saying), hehe. We got there buy renting a van, we got it for Php 4,000 pesos. It’s a lot cheaper if you go in large groups since you’ll have to pay less on the van. There are rates offered in MetroDeal from time to time with vans all ready to just pick you up from Metro Manila. During this visit, didn’t get an offer from MetroDeal, the van was Ivy’s contact. Overall, we had fun, it was an awesome experience still but I think their prices are really high and that Villa Escudero is a bit overrated. The waterfalls restaurant was not we were expecting, I think our expectations were a bit too high because of the popularity of it and when you see that it was not what you were expecting, you get a little disappointed at some point. Also, the restaurant is a bit dangerous and slippery due to the algae, one tourist slipped and hit her b*tt big time, I know she felt so embarrassed and I felt really sorry for her. Nevertheless, again, we still had a great time and I am very happy to finally be able to visit and experience Villa Escudero. 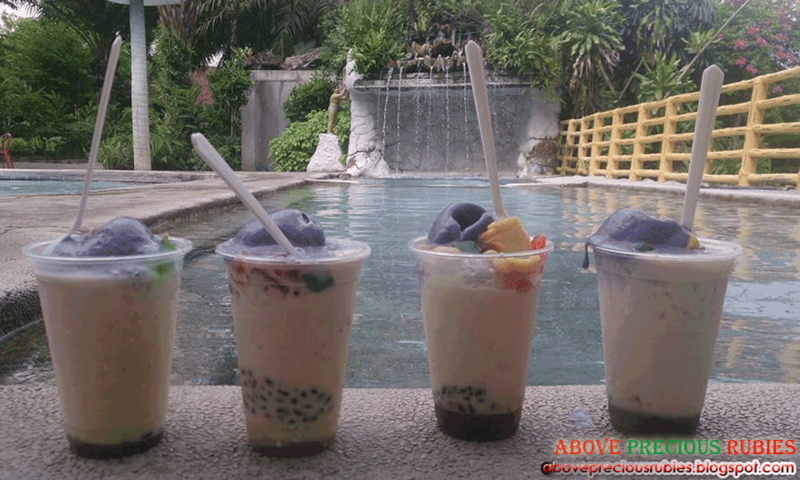 Halo-halo by the pool? Why not! 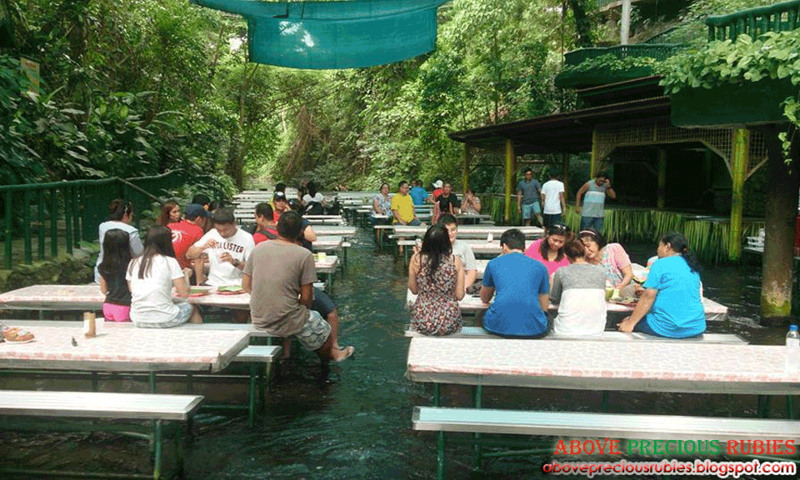 Guests enjoying their lunch with their feet dipped in the cool waters! For more information, visit their website at www.villaescudero.com. I always wanted to go there pero hindi natutuloy. Its nice to know that there is a pool. Mukhang bitin nga ang 5 hours of stay. Wow! Such a relaxing view. Oh well, your Nate would definitely love to go swimming again next time. Prepare your budget Mommy. Hehe. I want to visit the place and experience dining while my feet is soaked in water. 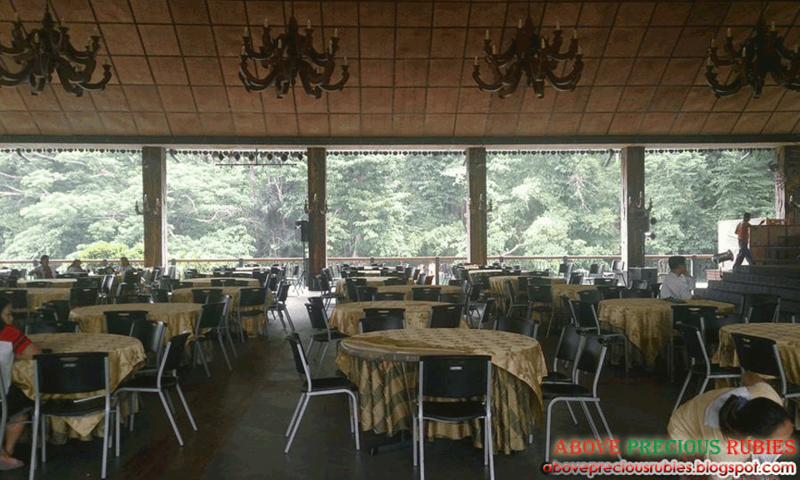 Wow Villa Escudero, the oldest nature resort in San Pablo Laguna. I would prefer to enjoy the fresh water coming from the falls. It looks so refreshing, isn't it? I would visit that place even in my dream. Very nice! The rate is worth it for the entire experience. 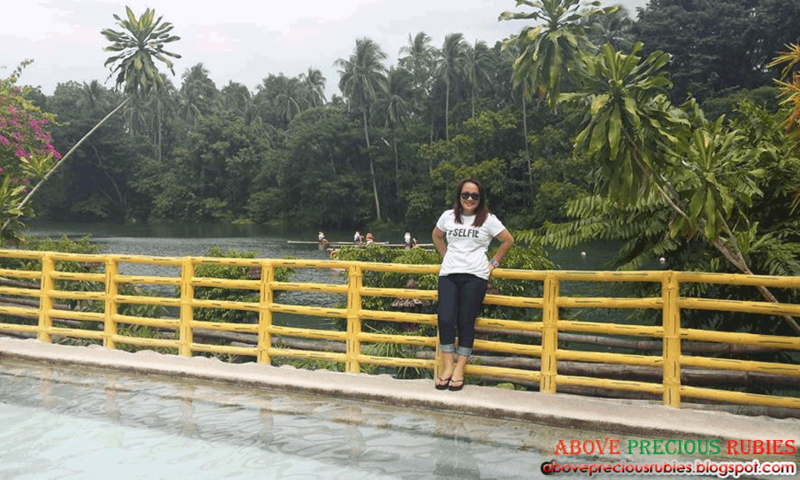 I didn't know Villa Escudero has a lot to offer. hahaha! true to that mommy! I'm started to hunt for pools near our place! haha. Yes, it's worth if as long as you get to try and visit all. Need to be there early, lesson learned for us. hehe. The place looks nice. 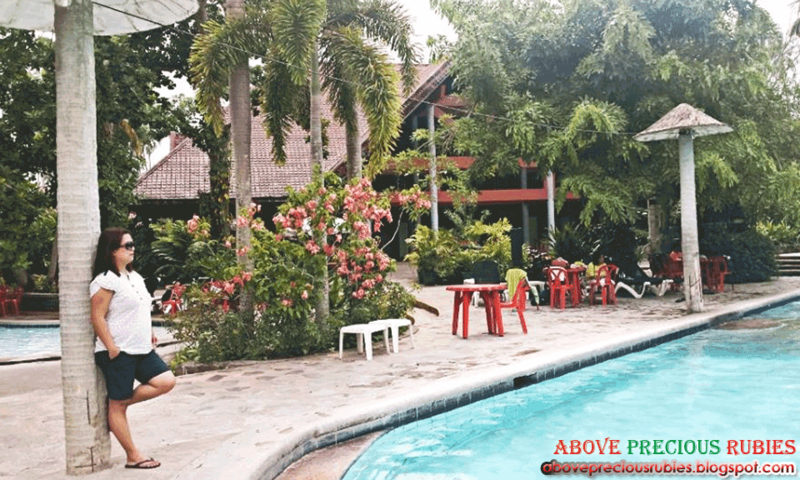 Parang I read somewhere overrated nga daw ang Villa Escudero. Ang mahal naman ng rate but for the experience pwede na hehe. I want to visit. I wonder if they offer a shuttle service. How does one who hails from the southern part of the Philippines reach their place? No, they don't but there are many vans you can rent going there. It's just about 2.5 hrs from Manila, it's good to start from MM going there. 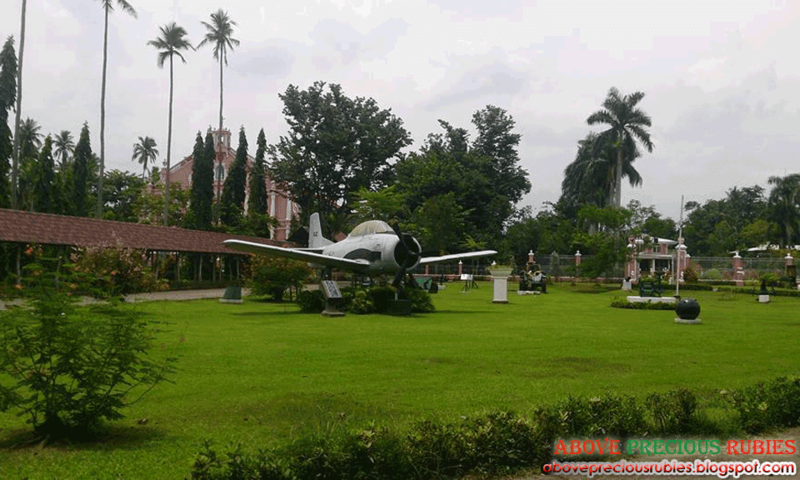 This is a great site to visit for teambuilding. The waterfalls looked wonderful! It's been a long time since we have gone to Laguna. 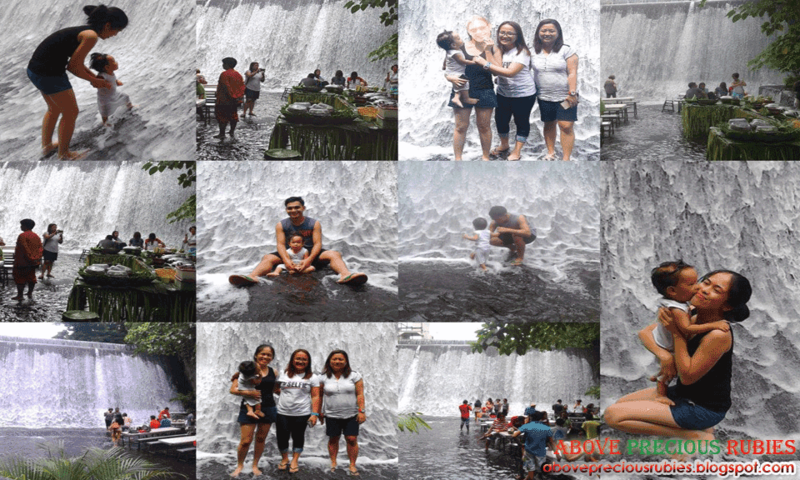 There's so much fun things to do in Villa Escudero. The area is so wide! I went here and this is a nice experience. The foot massage using rock salt is also good here. Indeed, I will recommend this place. Thank you for reminding me how nice this place is. Heard so much about this place, the waterfalls restaurant is what I like to visit. I haven't heard of this place. Escudero? Like the Senator? Parang bitin yung Day Tour but the place looks lovely. I've never ridden on a cart pulled by a Carabao before, kalesa lang with a horse when I still lived in Pampanga before Pinatubo erupted. Wow, I'll show this to my husband and see if we could visit one of these days. 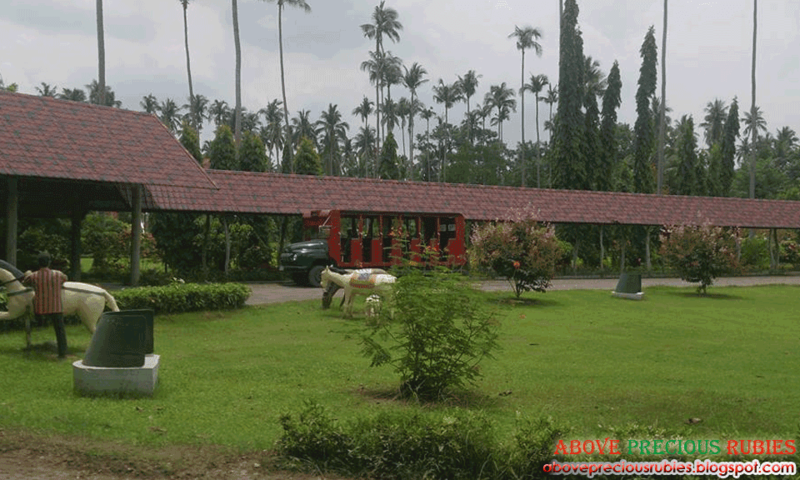 I love Villa Escudero, especially the ancestrar homes. Those antiques colection are really a treasure. Hubby and I visited the place in 2006 during our vacation. 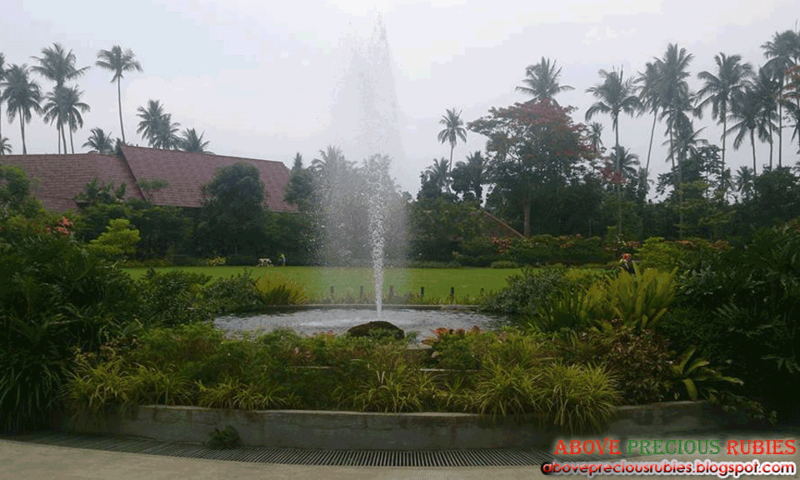 I've heard about Villa Escudero before. I'm just wondering if those waterfalls are real waterfalls? Or was that just man made? 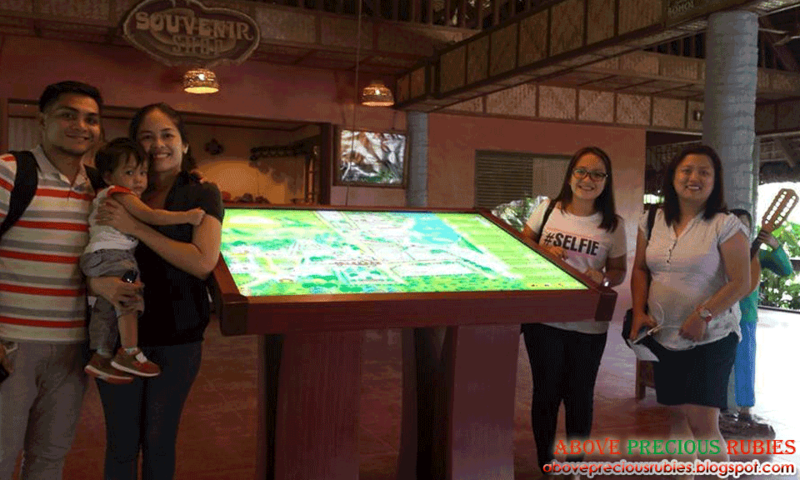 You know what made us visit Villa Escudero? It's the waterfalls resto. The water is cold when we went there. 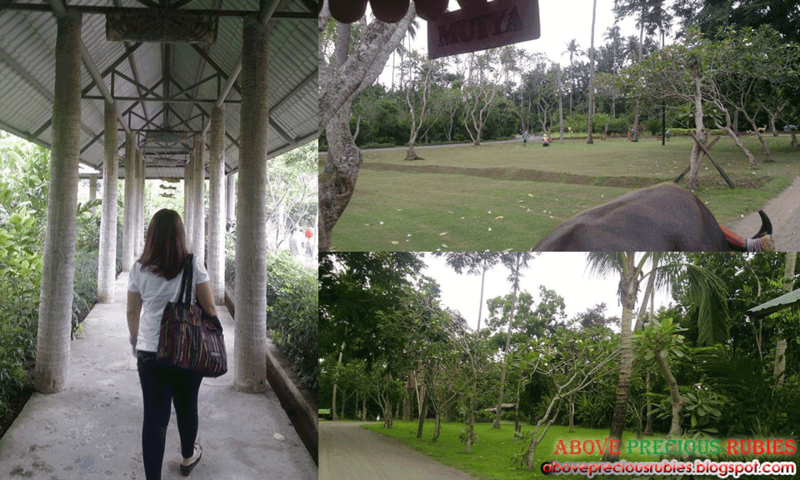 I really like the countryside feel of Villa Escudero. I've been able to visit them a few years ago. 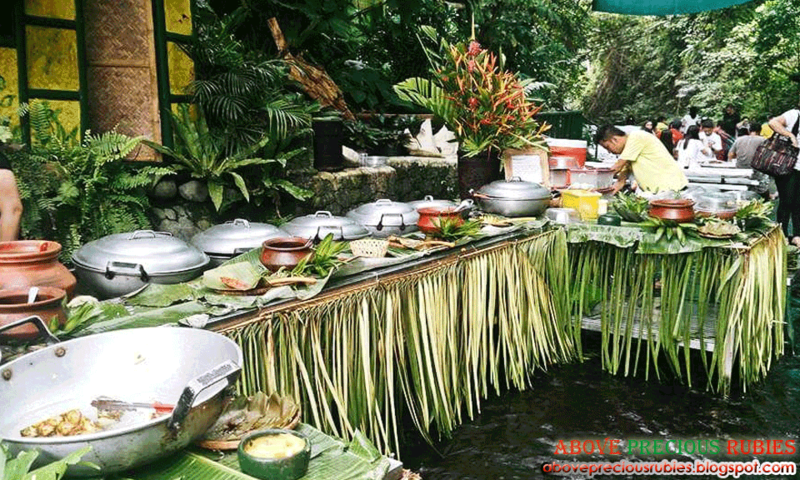 I created an article about must visited restaurant in the world and villa escudero is included. I would love to visit this place anytime soon. we've never tried that, but that sounds good! That's lovely to hear, we've unfortunately not tried checking that out. It's been a while since I last visited Villa Escudero but I can still remember how wonderful the place is. Ive always loved nature. And going out of town with family and friends always gives us that freedom to be ourselves, away from the everyday struggles of work and other things. So yes, go on vacations every now and then. We've visited the place twice and we enjoyed it. I feel you, expensive nga rates nila and hindi nga sulit kasi late na kayo nakarating. I was surprised with no spoon and fork, meron naman kami dati, nagtitipid naman sila masyado. Mas maganda doon pag whole day talaga para masulit ang bayad. Meron chopsticks, lol. 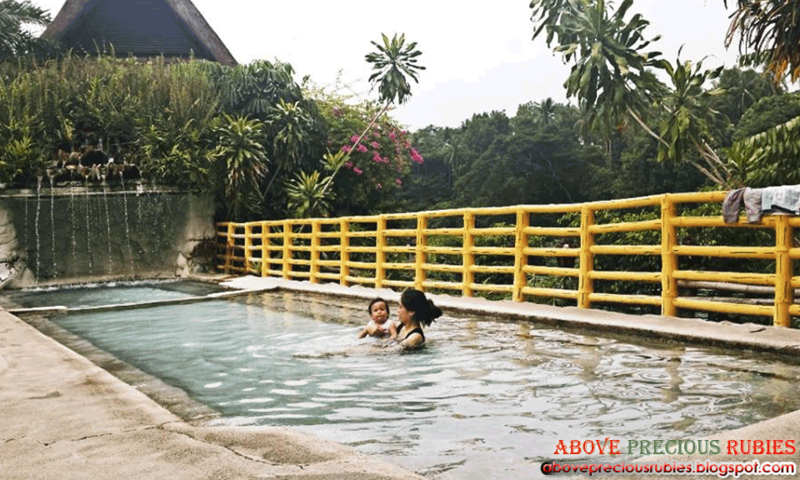 We enjoyed the pool, Nate loved it, sayang lang bawal pa kami sa bangka because Nate was too little.